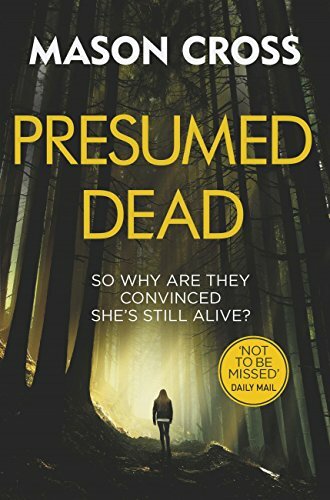 Join McIlvanney Prize longlisted author Douglas Skelton (Blood City, Tag – You’re Dead) in conversation with Mason Cross for the official launch of his new novel Presumed Dead, published by Orion. There will be a reading, a Q&A and a signing. More importantly, there will be free wine. The event is free and all are welcome. Join Luca Veste to launch his latest series with the fantastic The Bone Keeper, starring DC Louise Henderson! Mixing urban myth and criminal horror, this Liverpool-set dark detective novel is chilling and thrilling in equal measure. Luca will be discussing crime writing, keeping things thrilling, and all manner of mysteries with Glasgow’s own legendary Mason Cross for this event. Mason is the author of the brilliant Carter Blake series, the fifth installment of which, Presumed Dead, comes out next month, featuring a serial killer and some mysteries of its own! Wine and refreshments will be available. Now in its fifth year, The Wee CrimeFest’ features fun and informal events with the participation of established crime writers. As well as panels and discussions, there will be a murder mystery play ‘Murder at the Knickerage’, ‘Coffee, Cake and Crime’ and ‘Crime and Dine’. The scale is small and the atmosphere intimate. As part of Book Week Scotland, Mason Cross will be appearing at Blantyre Library to talk about writing and his novels. There will be a talk, a Q&A and a signing. Contact the library on 01698 823808 for ticket details. As part of Book Week Scotland, Mason Cross will be appearing at Dunblane Library to talk about writing and his novels. There will be a talk, a Q&A and a signing. Contact the library on 01786 823125 for ticket details. The William Patrick Library Crime Reading Group are delighted to have Mason Cross, author of the Carter Blake series, join them in discussion. All are very welcome at this special event. Steve Cavanagh and Luca Veste play ‘Two Truths and a Lie’ with top crime writers A.K. Benedict, Elle Croft, Mason Cross, Julie Cohen and Isabel Ashdown for their popular podcast Two Crime Writers and a Microphone. Watch live from The Incident Room studio! Now in its tenth year, Blackwell’s Writers at the Fringe brings you once again the best in Scottish writing. Every Thursday during the Festival we invite a selection of Scottish performers to give us a taste of their work. New and unpublished works of literary art stands alongside established novelists, from folk music to contemporary fiction and all that is found in between. Get your kicks on Route 66 with the bestselling authors of two American-based novels that take us on a thrill ride from Los Angeles to Las Vegas. Chris Carter’s number one chart topper The Caller is set in LA and is the eighth to feature his unstoppable detective Robert Hunter. Don’t Look For Me, the fourth in Mason Cross’s brilliant Carter Blake series, sees Blake up against a hitman in and around America’s gambling capital. Tickets from the festival website.